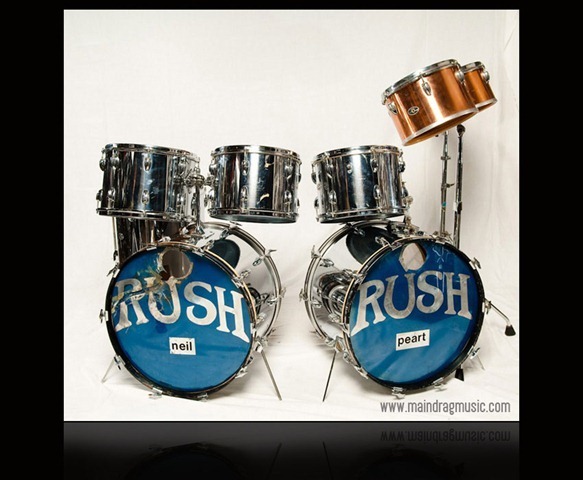 If you're in the Indianapolis, Indiana, area this week, you have a rare opportunity to see two of Neil Peart's iconic drum kits. 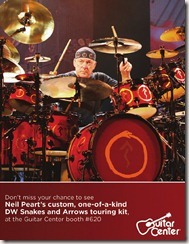 $10 donation to play the kit for 1 minute for American Cancer Society. 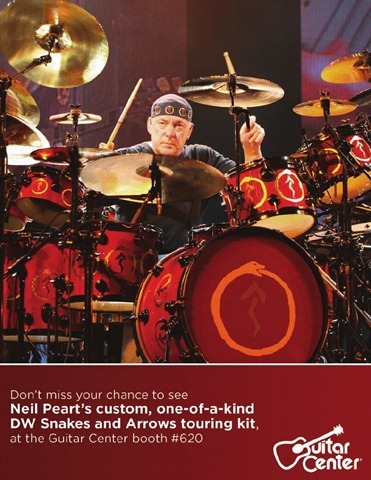 See NeilPeartDrumsticks.com for more information. If you attend the show and take pictures, please send them to me and I'll post them for you.